Psychotherapy is a common treatment option for patients that struggle with underlying emotional issues or trauma. It’s also an excellent therapy that can help patients handle a variety of co-occurring conditions. As such, integrating psychotherapy in the addiction treatment plan has become essential to a healthy outcome. People have been dealing with emotional issues for ages, with the ancient Greeks being the first ones to speak about mental illnesses as a medical disorder. Their understandings were limited, though, and it took a few centuries before people understood how important, encouraging and consoling therapy was for the human mind. The Middle Ages saw an even weaker awareness regarding how the mind worked, as torture was a popular cure for “demon possession.” Much later, the term “psycho-therapeia” was first used in 1853 by English psychiatrist Walter Cooper Dendy, and only towards the end of the 19th century, Sigmund Freud started to develop psychoanalysis, making important contributions to the field. Over the next fifty years, doctors began using Freud’s methods of psychoanalysis in clinical practice. During the sessions, the therapist offered interpretations and tried to access thoughts or memories buried deep in the patient’s unconscious to help them move past them. In the 1940s, Carl Rogers developed interpersonal therapy, a concept that focused on the relationship between the therapist and the patient, in which the former sends feelings of acceptance and warmth to the latter. Around the 1950s and 1960s, many other types of psychotherapies emerged, such as psychodrama or guided imagery therapy. 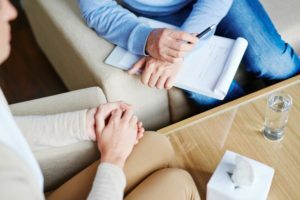 Psychotherapy is now widely accepted in treating drug and alcohol addiction, with a wide range of approaches available for every recovery level or type of support patients need in their recovery. Psychotherapy types are often combined in a customized way, according to the patient’s particular needs and their financial resources. Psychotherapy has proven to be successful as part of rehab programs destined for alcohol and substance abusers. Whether it’s used to achieve abstinence or just to cut down on negative behaviors that patients feel are taking control of their lives, psychotherapy tackles these problematic behaviors by understanding how it started, what triggers it, and how to make more effective decisions. With only one in ten addicts seeking and receiving treatment, it is crucial to understand just how important the first step to recovery is. Taking control of your life and asking for help will be the only way of starting the lifelong process of recovery! Thankfully, the experts at Windward Way who work directly with clients in our addiction treatment program know the ropes around addiction. More decisively: we know recovery and what it takes to help a man find sobriety for the long term. One crucial and foundational methodology is the traditional addiction treatment method of psychotherapy. A client’s individual therapy may include psychotherapy, tailored as part of the plan to help him regain his life as a productive member of society. A psychotherapist can target a person’s addiction and mental health issues, as well as help him learn about his condition and discover means through which to deal with his feelings, thoughts, and behaviors. Psychotherapy will always accompany other programs of holistic substance abuse treatment such as spiritual counseling or a 12-Step Program. Men enrolled in our drug rehab may also use CBT or DBT to learn how to stay away from those people who provide the drugs or use drugs. While those men attending our alcohol rehab may discover how to deal with their triggers or urges. Windward Way often uses psychotherapy with men aged 18-45 because we believe that anyone can change. Transformation is real and we see it all the time at Windward Way! With our help, you can rediscover yourself again, the Windward Way. In fact, our pros can begin the process with you right now, at 855-491-7694.